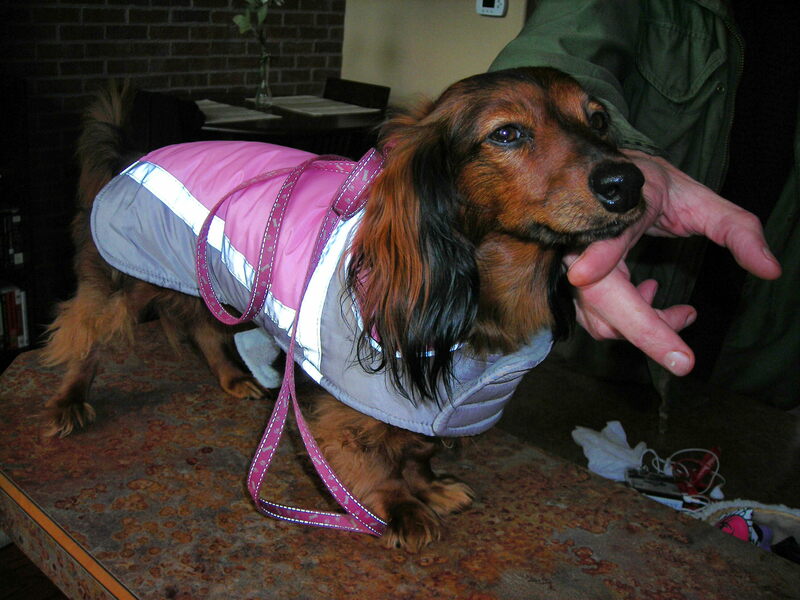 Zoey gets ready for a walk. I don’t need tension to get readers (or my Zoey fan club) to turn the pages (or to pet me). I just need to be me, whether I’m engaged in the action of running or the non-action of sitting still. If I were to tell my story as the cutest dachshund west of theMississippi, I could do without all those fancy elements of fiction. Just look at the alphabet to see why. What dog do you know who has written 100 blogs? That’s what I thought. Maybe one or 10, but certainly not 100. Of course, there are that many books featuring dogs (and cats – but why? I must ask) as the main character. Add paw swipe to injury, my BFF Shelley just finished reading “Dewey: The Small-Town Library Cat Who Touched the World,” by Vicki Byron. She laughed at parts and cried at the end, apparently feeling for Dewey Readmore Books. Shelley should feel for Zoey Writesmore Blogs than any other dog that’s gone virtual. I am hers, after all, and she’s mine. 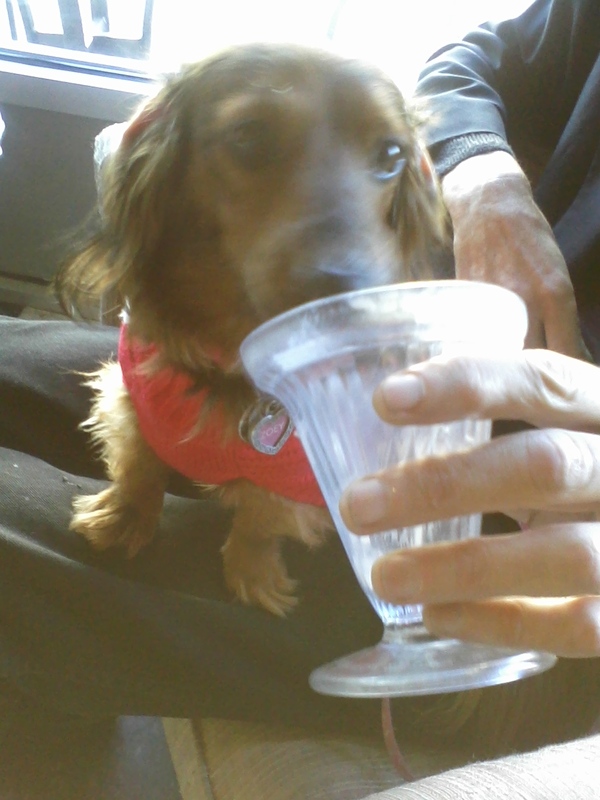 Writing 100 blogs has made me realize how privileged my readers are to get a first-dog look into a 9.5-pound miniature dachshund’s life. 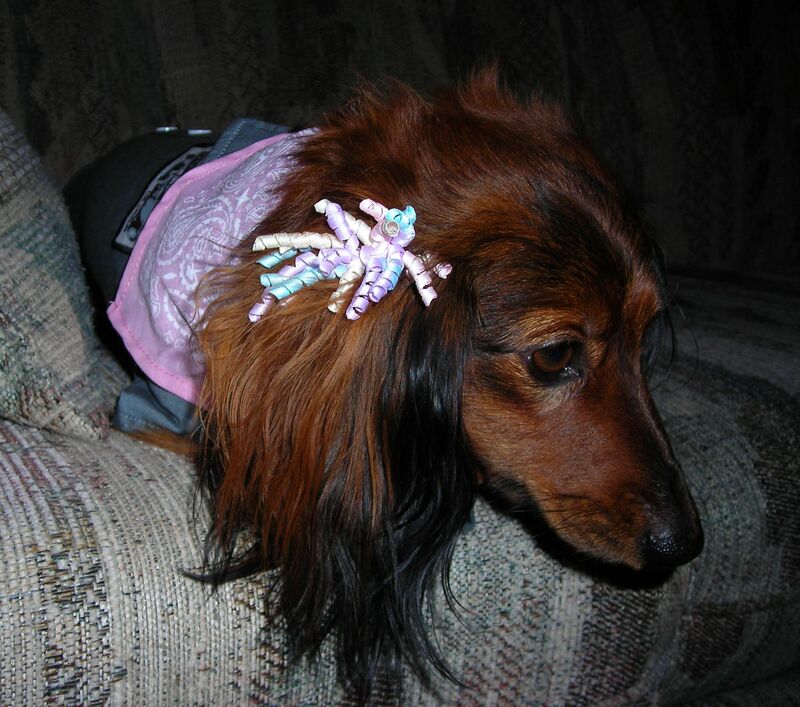 I started my blog Zoey’s Paw on June 16, 2010, the same day Shelley started her blog, Shell’s Ink. We wrote about how we met and got to know each other from my nine weeks of life to my second birthday on Dec. 20 of that same year. Shelley decided to blog about shyness in 2011, but I figured shyness didn’t have anything to do with me. I am a gregarious, incredibly cute dog who loves attention, including pets, treats, playtime and being told, “Isn’t she cute?” I know that I am, but it certainly doesn’t hurt to hear it a hundred times. I blogged about my fascinating life as a dog in a small Midwestern city, garnering attention, perfecting my skills at catch and intimidating the big dogs (I have an excessively loud, intimidating bark). This year, Shelley’s blogging about 52 writing topics in 52 weeks. I’m writing about those same topics, focusing on the exciting plot of my life, me as the main character and how I stand out from my setting, no matter where I am. Next year, I am choosing what we blog about. I’m supposed to be alpha dog, meaning I should be alpha writer. I propose Shelley and I write about, not dogs, and certainly not cats, but about me. I want to play, and I want to run and bark at the other dogs. And when I’m tired, I want to sit on a lap. I’m a lapdog, and a very cute one at that. So, why don’t you sit down, and I’ll buddy up to tell you my story. This telling from beginning to middle to end is called the story arc, and what I do along the way is my character arc. To tell the story of my life I have to start with what I want, or there is no story. 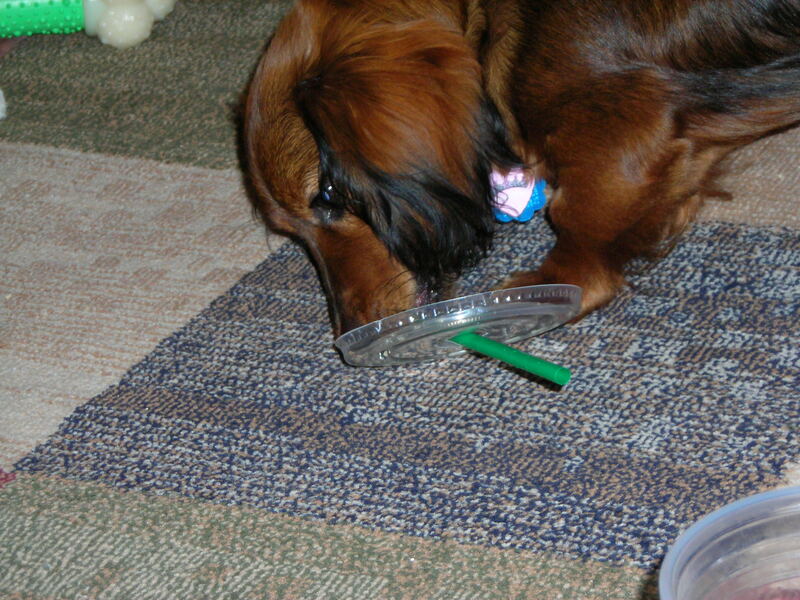 Zoey the cutest dachshund west of the Mississippi wants there to be more playtime. She wants less time devoted to working and sitting around, talking about boring things like politics, business and how the world works. With more play time, Zoey wouldn’t have to wait around for Shelley, her pet parent, to get off from work. Before she leaves, Shelley gives Zoey goodbye treats and is gone for eight hours, though Zoey doesn’t understand time. When Shelley comes back, Zoey greets her with tail wags and rolling over for a belly rub. At the end of this greeting, Zoey zooms off to hide under the bed to show her displeasure at being left for the day. Shelley says, “I’m sorry, but I have to go work,” as she lifts the bed skirt, bending down to talk to Zoey. Zoey stays “hidden” until Shelley pretends to leave out the front door, drawing upon Zoey’s curiosity. Zoey scurries to the living room and stands still waiting for the leash and the I’m-sorry-I’ve-been-gone-all-day walk. Shelley and Zoey go on their walk, play a little and go to bed, only to do the whole thing all over again the next day. And this makes Zoey sad, very sad, because Zoey can’t change a darn thing. No matter how hard I wish, I keep learning and relearning that there really is no story, just life, the life of a dog in a city with an owner she loves and who loves her back. Maybe it’s a love story, that of a girl and her dog. And a dog and her girl.